(Swans - December 2, 2013) I wanted to take the time to describe the two fiefdoms of higher education. The first fiefdom, the four-year college and university system, is what I will describe in the opening section of this article; the remaining sections will address the second fiefdom, the junior college or community college environment. The stodgy, antiquated, four-year college and university, which with its Latinated school seals often proclaims itself to be the guardian of virtue, truth, knowledge, and sometimes democracy or morals, is the first fiefdom that I will address. This fiefdom is ruled by high salaried college administrators and their tenured brethren in the faculty ranks. This fiefdom also supports the ideals of inclusion and multicultural acceptance, and while it once endorsed the liberal arts and humanities as worthy disciplines of study, many an English department, history department, or philosophy department has had to do with less funding year after year in recent times. Most recently at Elizabeth City State University, a historically black college in North Carolina, the administration there has threatened to sever the life support cord of its history department. (1) It is no secret that philosophy departments have perhaps, more than other human disciplines, come under fire to justify their existence. The University of Nevada Las Vegas philosophy department recently fought off a proposal that would have ended its existence. (2) Proponents of the philosophy department believed that there was an inherent absurdity in having a university without a philosophy department but we have to take into consideration the fact that perhaps some disciplines outlive their usefulness and their questions become empty, antiquated, and wrongheaded: recall that at one time, astrology was also a part of the university canon of learning. Can we then consider that the overall questions of a particular discipline can become irrelevant because they simply either do not provide any more useful insight into nature or human existence than the hard sciences do, or that their questions may be wrong-headed in their assumptions? What distinguishes the community college fiefdom from the four-year college or university fiefdom is its purpose as primarily an entity that farms students into the state university system when students either do not meet the entrance requirements of the four-year college or state university or students who seek to reduce their college costs significantly. In the former case, there are serious academic deficiencies that need to be remedied; in the latter case, past academic performance may have been exemplary but not enough to obtain reduced four-year college or universities. But like the university fiefdom, the community college's working ranks are overpopulated with administrative and administrative staff who are often extraneous, and who often make double or triple what the adjunct teacher makes in these environs. Like the university fiefdom, there is an overabundance of adjuncts for teaching classes and I can speak from experience in terms of the pay, abysmal working conditions, and the lack of respect shown to us by full-time faculty members and administrators. In recent years when I have toiled as an adjunct, they pay was simply not enough to live on when rent, food, transportation, and student loan payments were factored in. Most recently, I have lived in a large metropolitan area and have taught at two community colleges simultaneously and the pay simply did not cut it. I traveled to schools about thirty miles apart and taught in perhaps the worst working conditions imaginable. Contrary to the university system where students tend to be respectful towards their teachers, I have had to confront student disruptiveness at every turn in the community college system, and almost in every instance, student disruptiveness is excused in the name of "student empowerment" by administrators eager to keep the pipeline of student tuition from drying up. I have had students who, fearful of receiving an F for a course that they did little or no work in, call my home phone to threaten me against assigning them an F grade (how the students got my home number is curious since I did not give out my home number to anyone but my employer). Additionally, in the case of student academic misconduct, I have often been at a loss to obtain support for sanctioning students for academic misconduct from college administrators, department heads, and/or supervisors. Recently, I cited a student for falsifying sources in a paper as well as plagiarizing others. Although I had documented proof of this misconduct, I never received support from the college on this and administrators belittled my position as a case in which the student was ignorant of what academic misconduct was, and therefore should be excused from receiving the F that the student earned -- even when my syllabus warned against academic dishonesty, the student handbook warned against such, and I did so verbally at the beginning of each semester. This fiefdom of academia, the community college system, has no regard for the pursuit of truth and instead would sanction student cheating and misconduct in the name of student empowerment. They would also rather have adjunct staff in their ranks who would be inclined to hand out As like candy to students instead of forcing them to critically reflect and learn about the subjects and topics of the discipline. 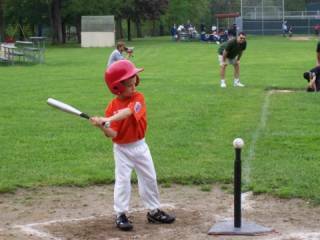 The fiefdom of the community college system is akin to T-ball: every student wins (or must be allowed to do so). Yet a fraction of the students show no concern for learning or following the directions of their teachers -- and it disturbs me that these students end up getting farmed into the state university system without adequate reading and comprehension skills -- and have cheated their way in, or have been given a pass by fellow adjuncts who, fearful of their job status, would rather not challenge their students and give high marks to the majority of their students when perhaps any number of those students have not earned those marks. These fiefdoms are higher education are symptomatic of a greater societal problem. In the case of the stodgy, old-fashioned four-year college and university, it maintains academic disciplines that have long ceased to be relevant in terms of understanding the fundamental nature of reality, much like astrology and alchemy have ceased to be credible in terms of respectively understanding the heavens or properties of metals. These disciplines, the human disciplines, have long outlived their usefulness; and yet the four-year college and university clings to them as enrollment in the courses of these disciplines drops and graduates of these disciplines graduate into debt and joblessness. The other fiefdom of higher education, the junior or community college system, is a college administrator's dream where he or she can treat students to weekly ice cream socials or movie nights on the quad while regarding adjunct faculty as second-class citizens. In this type of environment, student cheating is condoned by administrators, and adjuncts who challenge their students to learn are viewed by administrators as antithetical to positive student outcomes. No wonder that we worry about the future of our country: our institutions of higher education are either mired in a misty-eyed nostalgia about barren, antiquated disciplines of study or outright encourage the flourishing of falsehoods within its ranks. Image 1. Duke University. http://visit.duke.edu/sites/visit.duke.edu/files/topfeature_chapel.jpg Courtesy of Duke University.